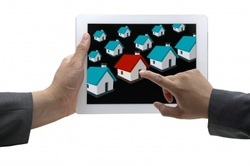 Searching the internet and finding available properties for sale in real time is difficult. However, we make searching simple and easy. We set the Multiple Listing Service to find you properties in real time. No need to spend countless hours searching properties because the service does it automatically. Every property is a perfect match directly from the Multiple Listing Service (MLS) to your email. Get started by completing the information on this form, and you will receive quickly active listings in the areas of interest. Make it better by getting our free real estate app and text LB9N1CZ to 87778 and do all real estate prospecting with your mobile device. We will make sure you become a homeowner!